Here at Hills Home Dog Boarding, our first thought is the welfare of your dog. We offer both day care and overnight boarding in a secure, dog friendly home from home environment. We mainly focus on small to medium dogs. We are fully licensed by Sandwell Borough Council, having been awarded the maximum 5 star rating, and have specialist insurance to cover the services we provide. 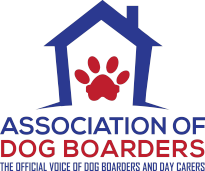 Hills Home Boarding is located in Oldbury, less than 1 mile from Junction 2 of the M5, with excellent road links between Wolverhampton, Birmingham, Dudley and the Black Country conurbation. Do you worry about putting your dog into kennels when you are going away on holiday? Then why not come and visit us and see for yourselves the alternative that is Home Dog Boarding. 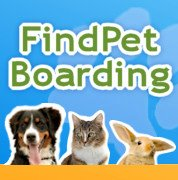 Find out more about our home boarding service here. Do you worry that your pet is getting bored and stressed being alone all day whilst you are at work? Why not let them spend the day having fun with us instead. Read about our dog day care service. We are Stuart and Jo Hill and we have been dog lovers and owners for pretty much all of our lives. We live in Oldbury with four of our own “kids”, Cavapoos, Dylan, Bailey, Max and Rocco and we hated the thought of having them penned up in a kennel. Having decided that the time was right, we started offering other dog owners the kind of service and care that we want for our own dogs. We will welcome your pet into our home to become part of our family for the duration of their stay, whether for a day or a month. Cuddles, sofa time, crazy “smartie” moments, are all par for the course! Find out more about us here.